People nowadays are busy with lots of things; from work to house chores or hobbies. Wasting time is out of the topic when we are talking about the tasks that we have to do. One of the most difficult tasks that we may encounter is relocation. When we move, there are lots of time needed, lots of support required, and lots of expenses. But as busy bees as we are, maybe one of the biggest problems we might encounter when moving is lack of time. If you want to be able to save time during your relocation, you should hire ProRemovalists, Fast Move Removals: Your Professional Flash Movers! If you are the type of person who is time conscious, you might want ProRemovalist to be your partner. ProRemovalist is a professional moving company that offers fast and cheap removals combined with great quality services. We are a company dedicated in providing satisfying services for the benefit of our customers. We give value to your money, and we give value to your time. With our years of experience, we have mastered every possible techniques that would cater to all kinds of costumers’ demands. As a professional and experienced Company, we know and understand how important time is; we are ‘ProRemovalist’ for a reason. That is why we trained our staff members to work fast with little to no mistakes, trained especially for movers who require fast relocation. What’s best is that our services have the same, if not better than other companies’ services. Our movers are thoroughly careful when handling things; we handle packages like they are our own property. Another great thing about ProRemovalist Sydney is that we create and strengthen our bonding with our customers. One way to ease the stress and hassle of moving is cooperation and teamwork. And to fully maximize the great effects of teamwork, the members should trust each other. We prove that we are a trustworthy company by sharing important information with our customers, like the plans and processes of moving. We also ask for approval before we do anything. A well-informed client will be able to work well with the company, and that is one of our goals. 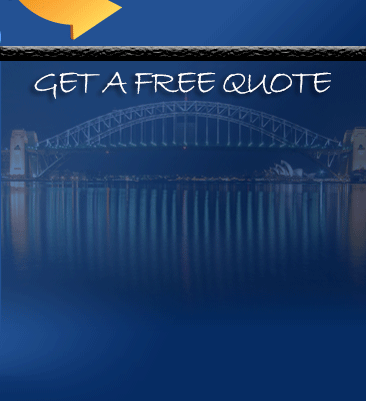 ProRemovalist is your best moving partner in Sydney. 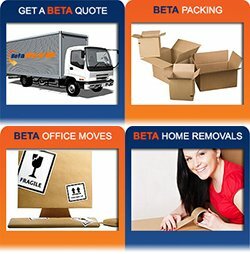 If you need cheap, careful and fast move removals, we are what you need. 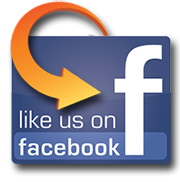 We are a licensed moving company that will definitely meet your moving demands and exceed your relocation expectations. When we move, we think twice if we are going to hire mover to assist us in our relocation. The major reason for not hiring moving companies are because there are some unprofessional movers who might scam us, or we may just be wasting our cash in paying movers that provide poor quality relocation services. But sometime, we over think stuff and we forget that there are still professional movers out there that we can trust and that would give us quality and fast move removals. It is never wrong to ask for an outside help, doing things on your own is good but if you prefer to ask some help never hesitate because professional fast movers are out there. There are many reasons why we should not hire unprofessional moving companies, never risk the safety of your valuables with just any movers that is why it is very advisable to hire professional fast movers , and there are a bigger number of reasons why we should hire professional fast move removals . When we look for a moving partner, we should always think positively and we should think about the benefits of hiring professional movers. You may have had bad experiences with moving companies, but the one you hired before maybe the exact opposite of professional movers. If you want to know the difference between a professional and an unprofessional moving company, read our article about it here. Professional movers keep the things they move like their own. It is guaranteed safe from the beginning to the end of the moving process. Unlike Unprofessional moving companies, we do not carelessly move your things. We handle it with utmost care. While if you choose to do the moving process on your own, you might also lose your own stuff along the way or get them damaged. But with the help of professional fast move removals , you can prevent this from happening. Time is very important and you wouldn’t want to waste it. If you hire professional movers, it will be faster to move. Since they are experienced, they already know what they are doing and doesn’t need to check for tips every once and a while. Also, time is managed efficiently and effectively, making sure that the moving process will be finished as quickly and as safely as possible. And with the help of their experience, they can even give you tips in which items to be transported first. If you move on your own, there’s a tendency that you have to return for a few items, and if you have a small transportation, then you can only bring a few items at once. With professional moving companies, they have a bigger and functional transportation that could carry all the packages at once. This again offers fast moving that saves time and energy. Pro Removalists Sydney is one of the leading fast move removals in Sydney, providing fast, safe and quality relocation services. If you need professional assistance, then we are the perfect choice so contact us now!